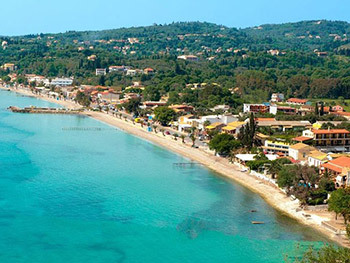 Placed 14 kilometres far from Corfu town, Ipsos is the most tourist and commercial town along the West coast of Kerkyra. This village is developed following the coast and permits the tourists to choose between many entertainment and services for both day and night. Ipsos is a tourist place ideal for young people as there is a very long beach and several disco clubs. Behind the town there’s the Pantokratoras mountain, while in the front there’s a stunning view over Albania coastline. The part of the town that is far away from the coastal road and the area close to the small port are calmer and a proper place for the families. The beach of Ipsos is placed in a very large bay and the village is just behind. The sea is clean and not very deep. At the end of the beach there’s a small pear and there are also different kind of water sports available. If you go toward North along the coast road you can have a fantastic view of the entire bay. Ispos is daily connected with Corfu town Dasia and Barbati by bus service. 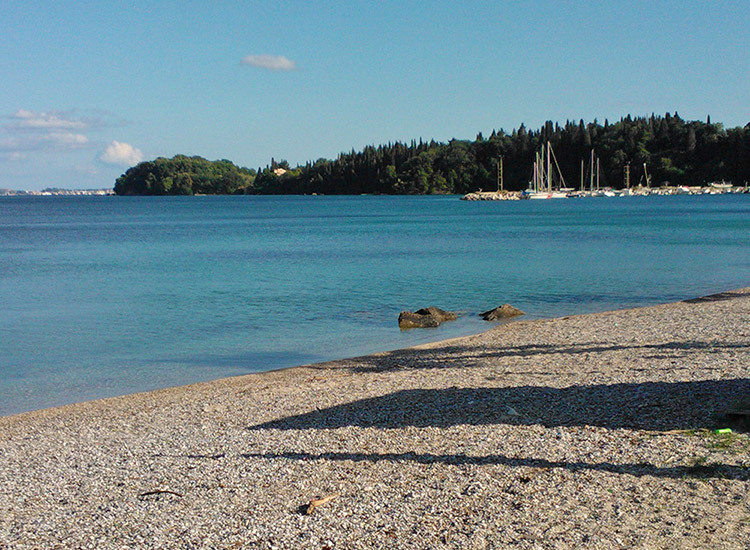 Here in Ipsos you can find boat tours that will take you straight to Kassiopi, to Corfu town and nearer beaches. It’s also possible to take jeep, motorbikes, cars or bicycles for rent. In Ipsos you can find many kinds of shops like supermarkets, souvenir shops and everything else you may need. Good possibilities also if you need an internet point. Ipsos is the perfect place for the amusement. If you’re looking for a crazy night Ipsos is the perfect place. There are lots of disco and pubs where you can enjoy yourselves all night long. Many pubs and especially restaurants are located along the beach. Ipsos has a medium-sizetherefore you can find everything you’re looking for, from hotels to cheap studios. You will find Gorgona apartments in a very quiet area and surrounded by a calm environment, although they are right in the heart of Ipsos village.